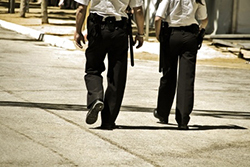 Private Security Company for Hire in Rochester NY | COP Security, Inc. Customer Focused, Client Satisfaction, Public Trust. Serving Rochester and the surrounding area since 1997. C.O.P. Security is a local, veteran owned and operated business. C.O.P. Security delivers dependability and confidence. Welcome to C.O.P. 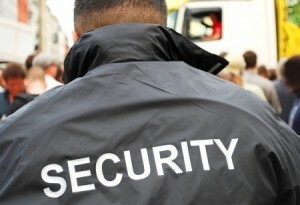 Security Inc.
COP Security Inc is committed to the safety and security of your enterprise. 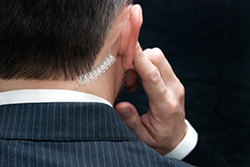 Our private security company for hire in Rochester, NY, utilizes the latest equipment and experienced security guards to ensure your business or event is fully monitored and securely guarded. Our team represents a wide array of skills and techniques to cover areas and businesses of all kinds, regardless of the type of security you need. 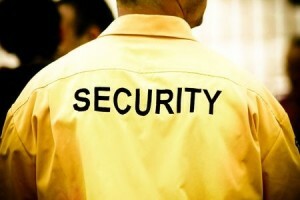 Our guards maintain the appearance and brand of your enterprise while giving you reliable security you can count on. 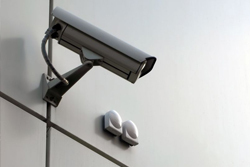 With vigilant personal surveillance as well as camera surveillance installation, COP Security Inc will maintain the security and safety of your workplace at any time. 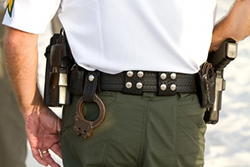 COP Security utilizes armed and unarmed guards to give you reliable and secure protection in any area. If you require area surveillance and presence to ensure that your workplace runs smoothly, unarmed guards may be the right solution. Unarmed guards are trained to resolve conflict without escalating a situation, removing problems before they start. Unarmed guards maintain order on the premises and watch for possible theft, weapons or offenders, and give business owners, visitors, guests or event coordinators peace of mind. If you have security checks, unarmed guards will move visitors quickly and efficiently through checkpoints and ensure that no weapons or illegal substances are brought onto the premises. Conflicts, theft, vandalism and other problems are less likely to occur while guards are present and watchful security at your business or event will ensure no problems arise. Armed guards may be preferred in areas of high risk or high foot traffic, such as banks, some warehouses, schools, some retail stores and other areas or businesses. Armed guards are highly trained in defensive techniques, allowing them to successfully disarm or subdue an offender on the premises. Armed guards have firearms training and experience in either the police force or armed forces, allowing them to easily assess a situation and take effective and appropriate action. In areas targeted for burglaries, attacks, vandalism and other crimes, armed guards will effectively reduce the likelihood of an crime occurring by discouraging offenders from entering the premises and by resolving the problem if it occurs. COP Security guards are trained to patrol and secure many different areas and businesses, both indoors and out. Whether you require around the clock protection for valuable, rare or potentially harmful items, such as jewelry, cash, chemicals, weapons or other items, or you need targeted surveillance around specific times or areas, our guards will keep you protected. For indoor areas such as office buildings, apartment buildings, schools, retail stores or other areas with a limited area, foot patrols are an easy and effective way to maintain surveillance over the area and watch for incidents of interest. Foot patrols in limited areas can be at a scene quickly and resolve situations as needed. For areas with a larger coverage space, COP Security Inc supplies vehicle patrols. Vehicle patrols are best for large areas such as warehouses, parking lots, storage facilities, residential communities and others. Using printed insignia on the side of the vehicle, guests and visitors know who to rely on in the event of a problem, and perpetrators see the area is under surveillance and will be dissuaded from entering. Vehicle patrols can cover a wide area quickly and arrive at a scene when called. 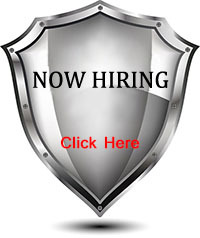 By staying in close contact with a central base of operations and with other guards, the area will be completely covered at all times and all workers, residents, citizens and others in the area can rely on each guard to uphold the highest level of professionalism and alertness, while keeping a helpful and courteous demeanor. Armed or unarmed guards may be utilized effectively at a variety of locations to protect against many different situations and scenarios. 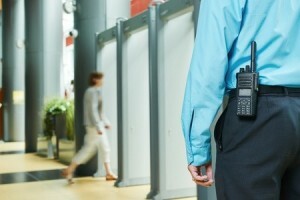 Whether at an entrance or exit to keep track of all visitors and to ensure all occupants obey safety standards, or to monitor restricted areas to make sure only authorized personnel have entrance, or used throughout your business to watch for any situation may arise, COP Security’s guards can keep your business safe at any location. COP Security Inc is the eyes and ears of your business, watching every aspect of your enterprise and daily activity at all times. COP Security also provides camera surveillance to watch the premises after hours or to maintain visual records of any happenings. Call to learn more about any services for your business, including armed or unarmed guards, foot patrols, reception services and bag searches, camera surveillance and more. We will be happy to answer any questions you may have and provide you with a full list of available services and a quote. Schedule guard patrols for your business, school, government building, residential area or other area today for complete peace of mind and to ensure the safety of all workers or visitors. 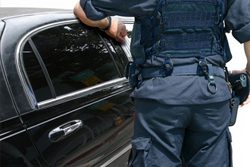 Armed & Unarmed, Vehicle Patrol, Emergency Services, Alarm Response, Reception Response, Special Event Security and more. Delivering confidence Cmplimenting your brand, enhancing client safety, maintaining site integrity, competitive price platforms, customized solutions. C.O.P. Security embraces significant commitment to customer service with client communication, timely client solutions and unmatched flexibility to fulfill client needs.